At former level crossing, immediately south-west of High Street, South Hylton. Present South Hylton Metro station (opened 31 March 2002) is on the opposite side of High Street. 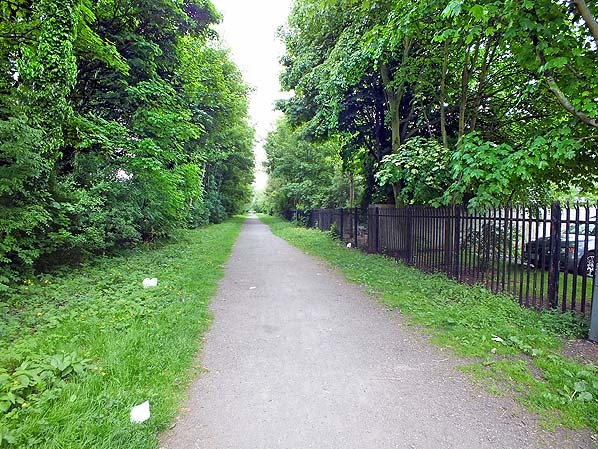 Notes: The line from Sunderland to Leamside opened on 20 February 1852 for goods traffic and on 1 June 1853 for passengers, and a station was provided at Hylton from the outset. 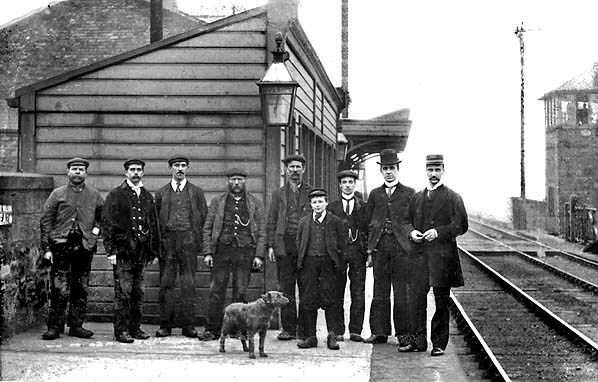 Although Hylton is now a suburb of Sunderland it was little more than a village when the railway reached it, the station being at the southern limits of the settlement. The main two-storey building at the station was on the down (Sunderland-bound) platform, built of brick, and somewhat austere in character. The roofs were slated and low-pitched. A gabled section at the north-east end projected towards the platform from the rest of the building and had a ground floor bay. Passengers were sheltered by an awning attached to the building. A pent-roof wooden shelter stood immediately south-west of the main building. On the up platform was a timber waiting shed under a pitched slate roof with generous provision of windows onto the platform. When the railway opened the immediate surroundings of Hylton were rural, but the village lay in the ‘Great Northern’ coalfield and the prosperous docks and port facilities of Sunderland were only a couple of miles to the east. By the 1870s South Hylton ironworks, south-west of the station, was reached by a short branch off the railway. By the end of the nineteenth century more housing had been built north of the station, and a goods yard had been developed behind the down platform, with four sidings including a loop. A goods shed and three-ton crane were provided, and a branch served South Hylton Forge. NER statistics for 1911 reveal that the station served a population of 5,629 and that 99,017 tickets were issued. Hylton’s goods traffic included iron and steel, cinders and livestock; paper was, however, the principal traffic, with the large Ford paper mill between Hylton and Pallion stations served by railway sidings. By 1920 villas had spread south of the station, and in that year ten up trains called on Monday-to-Friday, 11 on Saturdays and four on Sundays; in the opposite direction the service was of similar frequency. In 1923 at the Grouping of Britain’s railways the NER lines, and thus Hylton station, were allocated to the London & North Eastern Railway. During the LNER era the station received the familiar wooden running-in boards with the station name in metal letters pegged to the board. By the late 1930s a new housing estate had been built south of the station. At nationalisation in January 1948 the former LNER lines and stations in north-east England were placed within the North Eastern Region of British Railways. BR showed little inclination to modernise the station, which retained gas lighting and LNER signage. Train services were adequate to serve commuters travelling to and from Sunderland, with an infrequent service during the day. In 1951, despite competition from buses, Hylton issued 54,250 tickets, substantially more than other intermediate stations between Durham and Sunderland. 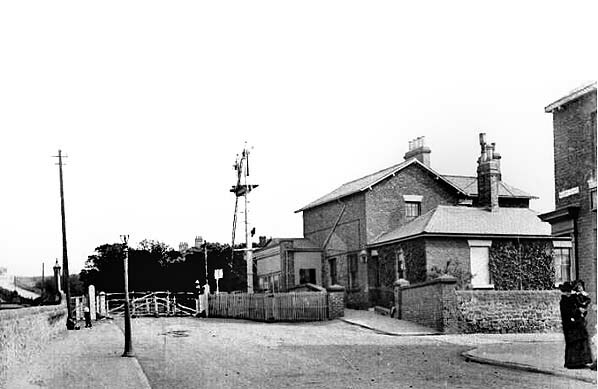 Whilst the neighbouring station at Millfield closed in 1955 and Pallion, Cox Green and Penshaw were relegated to ‘halts’, Hylton continued to be a staffed station. 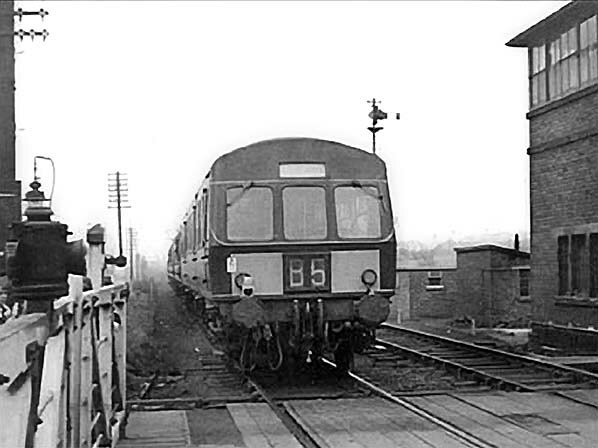 The Reshaping of British Railways (‘Beeching’) report recommended the withdrawal of the Sunderland – Durham – Bishop Auckland passenger train service, and closure came on 4 May 1964. 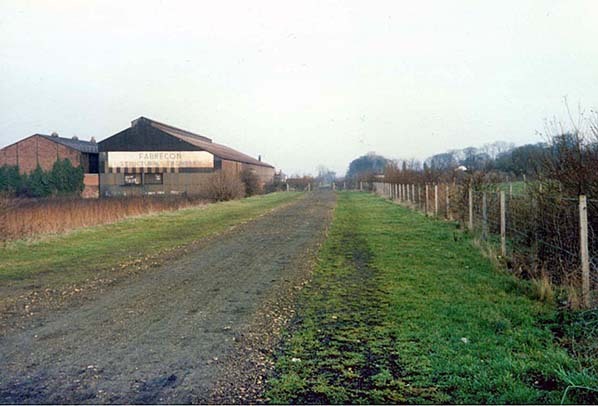 Goods-handling facilities were retained at Hylton until 4 October 1965, and the line through the station continued to handle goods and mineral traffic until 21 August 1967. After this date Hylton Quarry sidings, a short distance on the Sunderland side of the station, were westernmost extent of the line. The station was demolished by 1976. Hylton returned to the railway map on 31 March 2002 when the eastern end of the Durham – Sunderland line was reopened as part of the Tyne & Wear Metro, some of it on a new alignment. The South Hylton terminus of the new line is on the opposite side of the level crossing from the original station. Looking north-west towards Hylton station and level crossing c1905. 1873 1:2,500 OS map. The surroundings of Hylton station are rural in 1873, but an inn and some short terraces have appeared to the north-west. 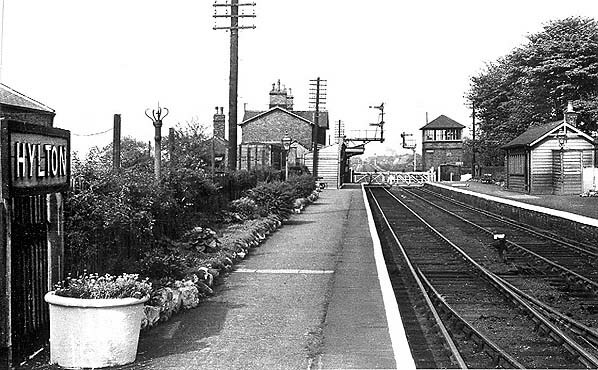 The station building is shown on the down (north-west) platform, close to the crossing, and a structure is shown opposite it on the up platform; if this was a waiting shelter it was later replaced with another some distance south-west. 1896 1:2,500 OS map. 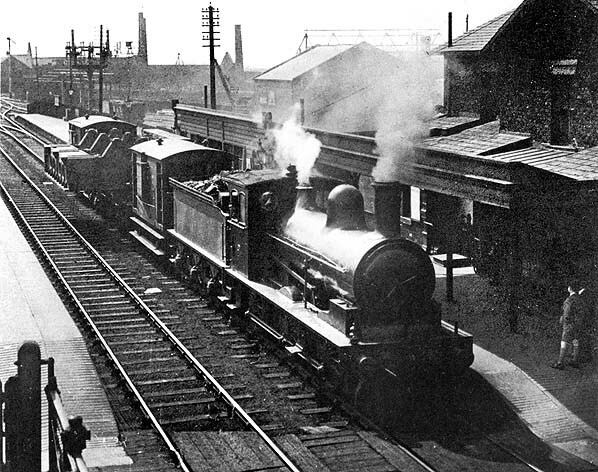 By the end of the nineteenth century more housing has been built north of the station, and a goods yard had been developed behind the down platform, with four sidings including a loop. A goods shed and three-ton crane are provided, and branches serve South Hylton Forge and South Hylton ironworks. Hylton station staff pose for the photographer on the down platform c first decade of the 20th century. The High Street level crossing and signal box are seen in the background. 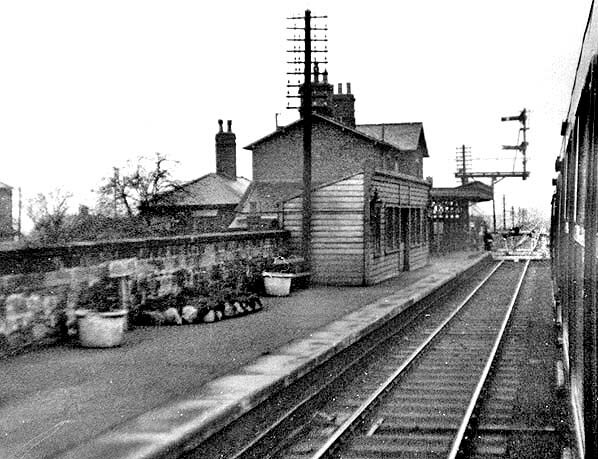 Hylton station is seen from the signal box in 1926, looking south-west. On the down (Sunderland-bound) platform the main building with its awning is shown well, and a timber waiting shed is beyond it. On the platform a schoolboy admires loco No.1724 standing at the station with an out-of-gauge load. The engine was built for the NER in June 1899 to a Wilson Worsdell design at Darlington works. Modified by Raven, it was withdrawn in August 1938 and broken up later that year. In the background the South Hylton ironworks complete the scene. 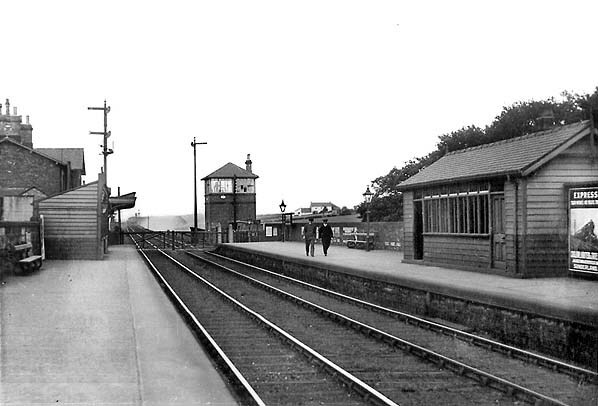 Looking north-east on the down platform of Hylton station c1938. On this platform an enclosed timber shelter partly obscures the main building. The up platform also has an enclosed timber waiting shelter, but of a different design. NER platform furniture is still in place: the coiled serpent benches and the gas casement lamps. The NER signal box is seen beyond the level crossing. and signal box can be seen. A Metro Cammell (later Class 101) DMU pulls out of Hylton in the early 1960s on its way to Sunderland. The signal box, traditional crossing gates, gas lamp, semaphore signal and lineside telegraph poles are all captured here: standard features then, but all are rarely found today. 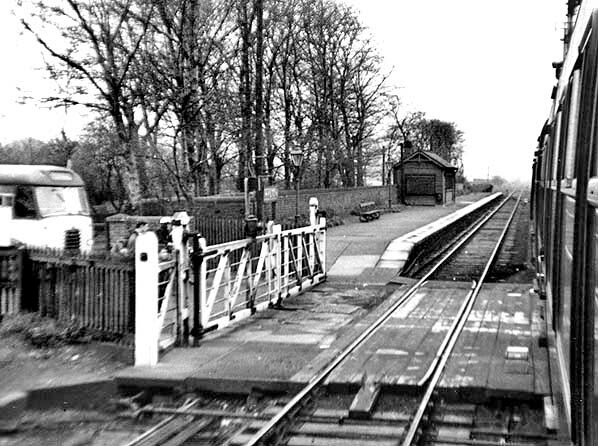 Looking north-east at Hylton station in 1964 from a Durham-bound train. The down platform is seen here with the waiting shed and station building beyond. Looking south-west at Hylton station in 1964 from a Sunderland-bound train. Beyond the crossing the up platform can be seen with an LNER running-in nameboard, a gas lamp and a waiting shelter. 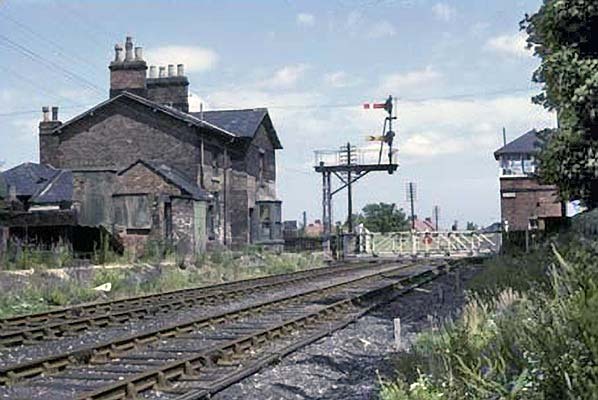 Hylton station in July 1967, looking north-east from the site of the demolished up platform. The down platform has also been removed, but the station building remains in place, as does the signal box on the up side immediately beyond the level crossing. good bus services to Sunderland. Looking south-west from the level crossing at the site of Hylton station in June 2013. The Tyne & Wear Metro South Hylton terminus is behind the photographer on the other side of the level crossing. This is the start of the 12.4 mile C2C Stanley to South Hylton footpath and cycleway.